Oh Yeah, You Blend » Blog Archive » ORBIT! Orbit (Alkemi Cosmic Curiosity LT) made his debut in United Kennel Club conformation today at the Ontario Shores Kennel Club show in Canandaigua NY. And what a debut! He WON the group in one show and took a group third in the other. AWESOME job Orbit, Jim and Ruth! 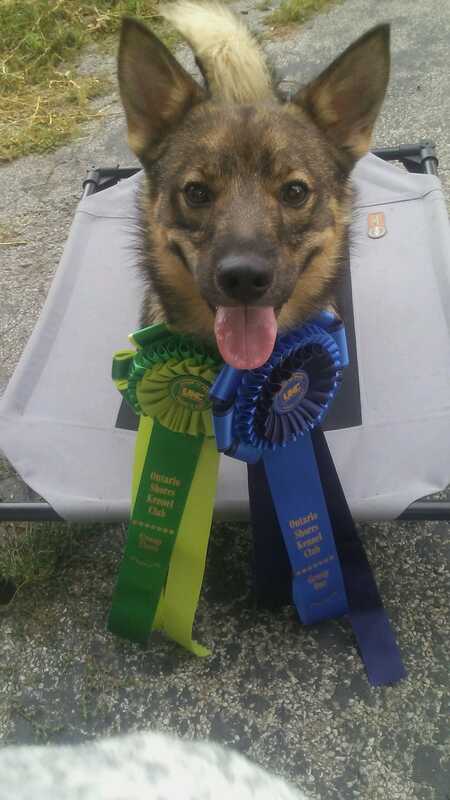 This entry was posted on Saturday, August 25th, 2018 at 10:39 PM	and is filed under awesome, C litter, dogs, vallhunds. You can follow any responses to this entry through the RSS 2.0 feed. You can leave a response, or trackback from your own site.